← Want an audio treat? Don’t miss this 9Pi-Con Schedule Announcement! 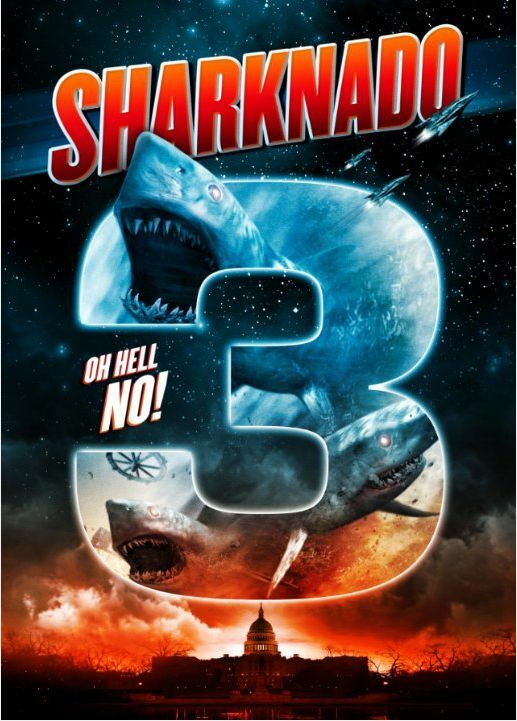 In case you’re dying to know, Sharknado 3: Oh Hell No! will air tonight on the SyFy Channel at 9 p.m. Eastern time. The Sharknado series has taken pride not in how good it can be, but how bad. Tonight’s installment promises loads of overdone cheese from the likes of David Hasselhoff, Bo Derek, and even Jerry Springer. However, tornados really can make animals fall from the skies; snails, worms, cows, frogs, even fish have been reported in the past. For a brief overview, check out National Geographic‘s article here, and don’t call me after 9 p.m., because you know where I’ll be! Posted on July 22, 2015, in Deep Thoughts & Fun Stuff, Horror Movies and tagged bad shark movies, David Hasselhoff movies, Sharknado 3, Sharknado series, SyFy channel. Bookmark the permalink. Leave a comment.